Made in Singapore cold pressed virgin coconut oil from CoconutForGood.com! Wait, what? Virgin? Cold Pressed? Is coconut oil like olive oil? Well, turns out there's a lot more to how coconut oil is processed (link goes to very informative piece; Foodrenegade has another good one). Virgin generally means it's extracted from raw coconut meat, not copra; it's usually not refined, bleached, or deodorised. Cold-pressed means it's mechanically pressed at temperatures not exceeding 120 deg F or 49 deg C to preserve its health benefits -- but there have been studies that show heat doesn't degrade the oil. Hey coconut oil does have a high smoke point, which is why it's great for cooking! Anyway, if you've been following health trends, you'll have seen the popularity of coconut oil resurging in the past decade. Angelina Jolie famously starts her day with a spoonful of it. Gwyneth Paltrow uses it on her skin and in her cooking. You can see how other celebrities use it in so many ways. But isn't coconut oil and its high saturated fat content bad for you? No. Like butter, coconut oil went through undeserved vilification last century. 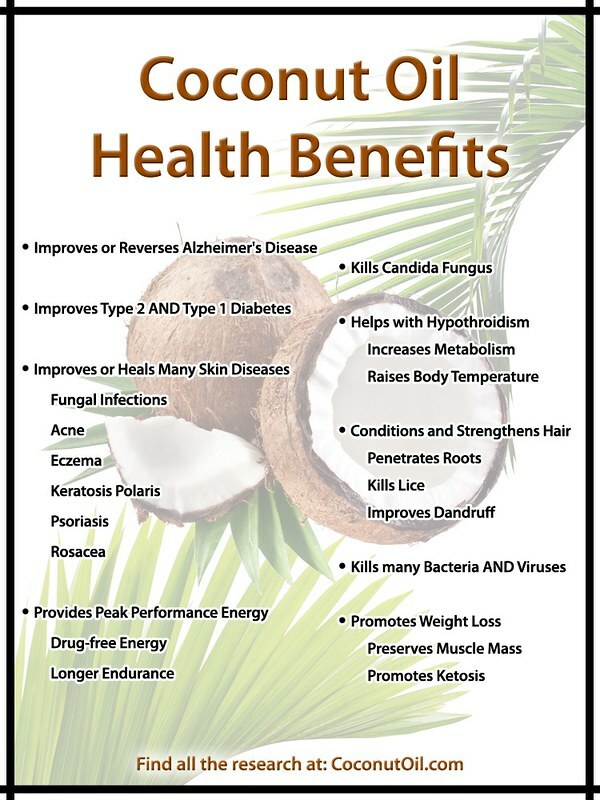 These days we know that the saturated fats in coconuts are mainly Medium Chain Triglycerides (MCTs). Lauric acid, the main MCT in coconut oil, has antiviral, antibacterial, anticancer and immune-boosting effects when consumed. Also, some of those demonising studies used hydrogenated coconut oil instead of virgin coconut oil. We know now just how bad hydrogenated oils are. So back to CoconutForGood.com. This is true cold-pressed coconut oil made in Singapore using modern technology in a pharmaceutical grade facility. These passionate coconut artisans support small farm holdings and source for coconuts from those practising sustainable farming methods. The coconut oil is so pure and clear, my girls thought it was water in the bottles. It's amazingly light and doesn't have a strong toasted coconut scent like some of the coconut oil processed in the Philippines and Thailand. So if you want a clean-tasting beneficial oil without a dominating coconut smell, this cold-pressed oil is one to consider. or improvers. I tried to find out more about how they do it, but the process they use is proprietary. Trade secret cannot tell! Well, no matter what, the CoconutForGood oil really is smoother and lighter. 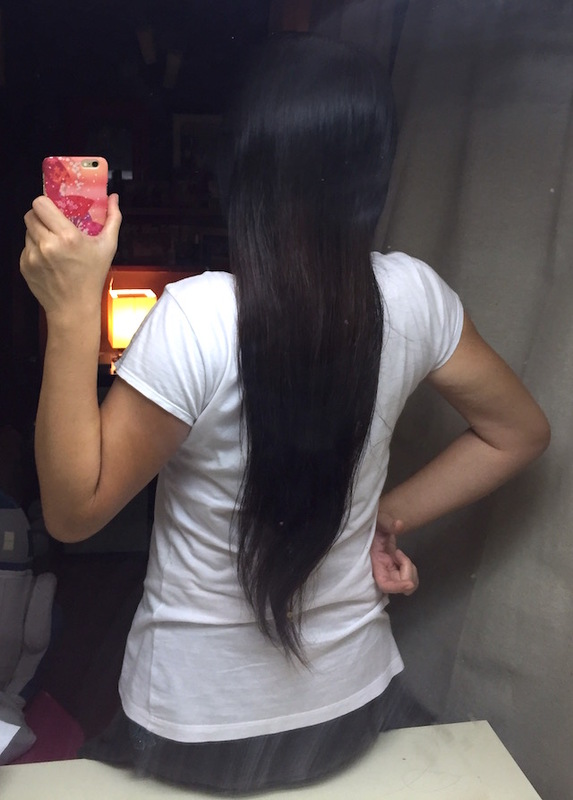 I tried it on my hair and it was a lot more pleasant and easily absorbed than the cheap coconut oil sold at Indian shops. The latter is a lot more viscous and left my hair feeling greasy and still dry/damaged at the same time. Well, no more Parachute brand for me! Now I just need a pump bottle to put the CoconutForGood oil into, for easier dispensing. Oh, and I found one often quoted study: women who consumed two tablespoons of coconut oil a day over 12 weeks did not put on weight but reduced abdominal fat (yes, that stubborn belly fat which also contributes to heart problems). That's the best news to me! 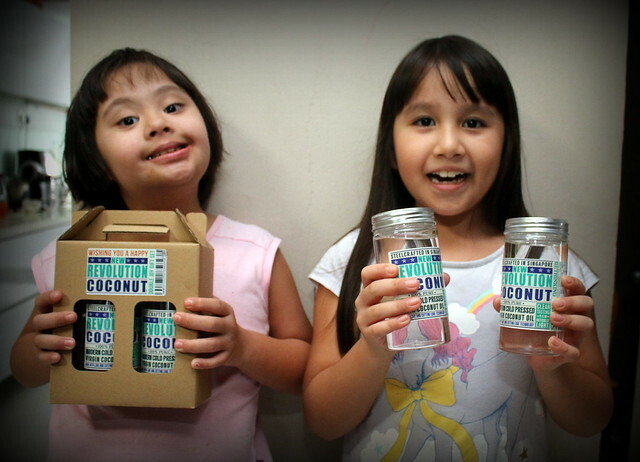 The CoconutForGood festive twin pack of two 385ml bottles goes for S$38 but you get S$6 off with my code "CAMEMBERU".